Illness & Depression: Karma or Chemistry? I have observed that if I am ailing and it's serious enough to go to a doctor I find immediate relief even with the simple statement of a diagnosis: giving what I have a name! There is no doubt more than one reason for this relief (which is felt in spite of pain, discomfort or seriousness of the ailment), but what I take from this is that the name objectifies the ailment as separate from "me." In a similar way, it's more comforting to believe that the reason I have high blood pressure, or diabetes, or colon cancer is because it "runs in the family." Somehow this relieves me of responsibility. I suppose that because each of these psychological ruses brings some relief that they, therefore, have some merit, a bit like taking Ibuprofen or another pain reliever. But then there's the question of karma. Do I have cancer because of my family history? Or, because of my own actions? Am I depressed because my brain doesn't produce the right chemical balance, or because bad things have happened to me, or was it something I did that attracted to me unbalanced chemicals, bad things happening to me, and/or this depressed state? The metaphysical teaching of karma and reincarnation (which most of the readers of this article will no doubt take for granted as a given, a truth, and a reality) offers a potential challenge to the "pain" relieving results of attributing my illness to external causes. And yet there is an irony here because even in the worldview of Vedanta, the belief that this illness isn't me is ALSO taught! "Tat twam asi!" I am THAT (which is eternal, beyond suffering, beyond the body and ego). Reconciling the teaching of karma with the affirmation of my soul's perfection requires and invites us to a level of self-honest, awareness and intuition beyond that of the average person. Returning to the earth plane of the body and ego, let us consider that the fact that taking two aspirin will cure my headache doesn't mean I didn't do something (like forget to drink water; get stressed out; have too much sugar, etc.) to trigger it. Just because my brain chemistry is off doesn't necessarily limit the cause of my depression to mere chemistry even if balancing that chemistry alleviates (some of) my depression. Just because my mother had high blood pressure doesn't mean she's the only reason my body has high blood pressure. Even when the solution to my illness is a straightforward medical one, the simple fact that I have access to that solution is part of my karmic matrix. There are billions of people on our planet who don't have access to the medical care that many of us are blessed to have. The solution for a broken bone is fairly straightforward but does not in any way explain why I slipped in the first place. Perhaps I was careless; perhaps it was a freak accident; maybe some child left his toy in my path. The reason for remembering the metaphysical law of cause and effect is not to blame oneself; nor is it to necessarily or reasonably expected to uncover the past actions which may have given rise to my current health issues. This "prod to pride" to undo what we have done does not mean that we can defy death or always defeat cancer or depression. We are a soul who happens to have a body. This reality is a two-edged sword. When appropriate, we either dismiss the body and its troubles to affirm our soul, or, other times we assert the power of the soul (divine) force over even life and death! In both cases, our body troubles are meant to strengthen our consciousness of the soul as our true Self. The body, by contrast, is short-lived. "There's no getting out alive!" But the soul is eternal. The test of illness is not just the medical one in front of us, but may, in fact, be a test of courage; faith; energy; joy; trust; or, even, acceptance! Sometimes, one conquers a disease by accepting it with equanimity and faith. Other times, we do so by putting up a good fight, even if our body loses the fight to death itself! And sometimes BOTH are true: we calmly deal with our body's ills using medicine, on the one hand, and God-communion on the other hand, but both with equanimity and faith. I happened to stumble on an article about a book by Johann Hari: "Lost Connections: Uncovering the Real Causes of Depression -- and the Unexpected Solutions." The author traces the root cause of depression to attitudes and actions that lead to a lack of connection with other people. Of the nine contributing factors to depression that he uncovers, only two have to do with brain chemistry. If I were to boil down the gist of this author's analysis in metaphysical terms I would conclude that ego transcendence is, ultimately, the solution! This doesn't deny either the value of medicine nor the many intervening steps at reconnection suggested by the author. But separation (ego from the soul) is the elemental dis-ease of the soul. Overcoming our existential malaise requires energy. Expanding our consciousness beyond the little ego to include others is the ultimate cure for all dis-ease. It takes willpower, energy, commitment, and intelligence to cope with the downward pulling tendencies of illness. Paramhansa Yogananda is often quoted saying, "The greater the will, the greater the flow of energy." On the other hand, the simple acceptance that my past action (pre-natal, past lives, or postnatal current life) is the root cause doesn't mean we can know what action(s) were the cause; nor, more importantly, does dwelling on the fact of our being the cause necessarily help deal with my present situation. Why beat ourselves up (even more)? The point of this article is that to overcome our problems we must exercise our own, God-given willpower, at least as the first step. Calling on the Divine Power and attuning ourselves and our prayer with the Divine Will is the second step. What does it mean to seek divine power and the divine will? In part, this refers to the intuitive understanding that God alone is the First Cause, the essential Doer and the underlying Reality of all things. In this remembrance, God is, at first, separate from us. But in the deeper our realization of this truth, God becomes not just the Doer but also the instrument. Our prayer becomes not so much a desire for health but a prayer to be "in tune" and that "Thy will be done." If the solution to any problem is as simple as taking medicine, or having a surgery, or reach out for help, well fine, of course! Sometimes the karmic test involved with our illness is the obvious one: to draw upon the intelligence and willingness; forsake the temptation of denial; deal responsibly with the present reality; and, then take action to rise above that reality. Another aspect of dealing with illness comes as we advance spiritually: "What comes of itself, let it come" Yogananda also counselled. While few people, even devotees, are ready for this stage, it is a true state of being wherein we don't even consider our karma to be ours: instead, what comes is the blessing of God's grace, the Divine Alchemist, refining the crude ore of our consciousness in the crucible of divine love. In the Old Testament, the Book of Job, the righteous man Job is tested by Satan to see if Job will remain faithful "to the Lord" if his health, wealth, wife, and reputation are taken away. (He does.) But Job's "friends" taunt him insisting that Job must have done something to deserve his troubles. Job insists he has not! This complex, hard, and subtle tale invites us to see all our tests as tests of our faith in God's goodness and wisdom, and our love for God. It took tremendous willpower and faith for Job to overcome the test he was given. A devotee, then, sees illness not even as a test but ultimately as God's grace drawing us closer to Him. This does in NO way imply passivity. Swami Kriyananda described all tests as invitations to raise our energy. A saint may already be living in, for, with and AS God but the rest of us will have to go through some kind of step by step process. I suppose there's no harm in dealing with illness only on medical terms: at least one is dealing with it on its own apparent level. But our emotional reaction to illness is the subtler and more important point. We have two opposing responses: on the one hand, objectifying illness as not ours can be a subterfuge for denial while, on the other hand, dwelling on one's "fault" can paralyze the willpower. So, the right response, well, depends on whether your intention and attitude lead you towards wisdom or ignorance. Yogananda described depression as the result of past sense indulgence (prenatal or postnatal). That may seem simplistic but as the article cited above suggests, some cases of depression, perhaps many cases, involve a loss of connection with the world and people in our lives triggered or worsened by self-absorption and self-involvement. Unlike a traumatic accident like an automobile crash wherein the hospital treats your body without regard to your involvement (especially if unconscious), depression, like other addictions, requires the willpower and motivation on the part of the one who is ill. One has to WANT to reconnect with life again. As we all know, depression sometimes results in suicide. Yogananda commented that a baby who dies at childbirth or in early childhood (and perhaps even later as a young adult) may have been a soul reborn who previously committed suicide. The premature death in a later life, he said, is intended by the law of karma to reawaken the soul's desire for and appreciation of life again. Medical science, has, I am told, corroborated the anecdotal evidence that a patient's will to live can be a crucial factor in regaining health. In any case, however, attitude, even in the face of death, is the soul's challenge, blessing and opportunity. Has Yoga in the West Been Inappropriately Appropriated by Westeners? I confess I only learned of the concept of "cultural appropriation" last year. The Oxford Dictionaries defines cultural appropriation as the "the unacknowledged or inappropriate adoption of the customs, practices, ideas of one people or society by members of another and typically more dominant people or society." For starters, there's no secret that yoga came from India. One cannot say this is not acknowledged. As to inappropriate, well, where does "goat yoga" or "beer yoga" fit? I feel that serving wine after yoga class is inappropriate when I contemplate the history, the tradition, and the intention behind yoga practice. Therefore, while certain applications and adaptions of yoga seem inappropriate (culturally or not), the question in my mind is whether the very practice of yoga itself falls under this criticism. For that matter, are all adaptations or modifications or new uses for yoga inappropriate? Any student of the modern history of yoga in the West will easily discover that renowned yoga teachers came to the West specifically to teach yoga and in the process bestowed upon key students the mantle of continuing that work in the West. Far, therefore, from yoga's being unilaterally appropriated by westerners, teachers from India have intentionally brought yoga for the purpose of its perpetuation to the West. But there are additional points I'd like to make. Millions of have read "Autobiography of a Yogi." In his life story, Yogananda makes several statements indicating that a high spiritual purpose existed for the dissemination of yoga practices (principally, so far as his life's mission was concerned, its meditation aspects) in the West. Indeed, it was, Yogananda taught, in the divine Will that the best of East and West be distilled for the upliftment and evolution of human consciousness. Many a qualified yoga teacher, both east and west, claim that yoga is a universal and nonsectarian science for physical, mental and spiritual well-being. Suited to every time and clime, the principles of yoga are discoverable by any sincere seeker. More than this is the assertion, and one that I endorse from my own research and intuition, that India's contact with the West, as painful as it was in many respects (having been conquered, etc. ), helped revive, energize and even improve yoga (including meditation) practice. I say "improve" on the basis of two things: one, the particular analytical and scientific genius of western culture, and secondly, the assertion (made by Yogananda and his guru, Swami Sri Yukteswar and one readily endorsed, however instinctively, by most of the planet's human inhabitants), that we are in an ascendant age of increasing knowledge and (re-)discovery. Yogananda, in speaking of the existence and practice of "kriya yoga," stated that it was almost forgotten through human indifference and priestly secrecy. Western medical testing of yoga and meditation has contributed significantly to the validation of its benefits for all the world to see. The long-standing and deeply-held Asian and Indian respect for one's teacher (guru) is deeply embedded in the yoga tradition. In its contact with the West which doesn't have that cultural orientation, confusion and friction have sometimes resulted. Yogananda attempted to clarify the use of the term "guru" by applying the term to refer to the "sat guru." This is a reference to a spiritual "savior" on the level of Jesus Christ, Buddha and the like. Yet in the east and throughout the world, the ordinary term "guru" can be applied to financial or computer "gurus!" In the late 19th century and early 20th century, in India, a trend began that was influenced both with western physical body-building culture and with the renewal of pride in Indian culture that began to teach hatha yoga from a more strictly physical health point of view. In this process, the guru concept and its concomitant spiritual purposes began to weaken but did not dissolve. While the cultural relationship to the teacher continued in the tradition of deep respect and implicit obedience to the teacher, the reality was that few (if any) such teachers, even among the most popular (or perhaps "especially") were true, sat gurus: avatars or liberated masters. The clash with western culture was inevitable and took the uniquely western form of lawsuits and scandals. Yogananda knew that the spread of yoga and meditation would not be met by a concomitant rising quantity of true, liberated masters. He himself employed printed lessons to teach the precepts of Vedanta, Shankhya and the practices of Yoga (especially raja and kriya yoga). Moreover, he knew that the egalitarian consciousness of the west would spread eventually throughout the world and would tend to consign to the past the sacred tradition of guru-disciple. Nor is it a matter of too few true gurus. Rather, in a fiercely egalitarian society, it is a matter of too few true disciples. The point here is that in an evolving and expanding age of consciousness, change is not only more rapid but unstoppable. Yoga has come to the world to uplift society at large. That it will not resemble the forest hermitages and ashrams of tradition may be regrettable to some but inevitable to many. This is not "appropriation." It is change and evolution. There will always be those souls who incarnate with a pre-existing understanding of the need for a true guru. The need for a guru and the role of a disciple will not disappear because not only will there always be some of have "eyes to see," but because in an ascendant age more and more people will awaken spiritually. This will happen through yoga practice. We see this every day at the Ananda yoga centers worldwide. Nor is such an awakening the expectation (much less a prerequisite) in the teaching and practice of yoga (including meditation). "When the disciple is ready, the guru appears." Keeping the tradition alive and held out as an example is the role of those (relatively) few (in this culture). But this truth-teaching is not well served by mere proselytizing. Truth "simply is." In his life story, Yogananda describes how he, while meditating in a dusty storeroom (to escape temporarily from the boys in his school! ), had a vision of American faces: souls he would meet when he was soon to go to America. Souls who, in past lives practiced yoga-meditation in India where the tradition was kept alive (even if barely), are now being born in the West. How then can anyone truly claim "appropriation." Yogananda would thunder from his "pulpit" to crowds of thousands: "The time for knowing God (through kriya yoga) has come!" Yoga is indeed for all. Let us put aside divisive accusations of appropriation, at least as it relates to yoga. Yoga is for the world and for anyone, regardless of skin color or birth, who armed with respect for its traditions and origin, and with sincere dedication to its practice "goes within." 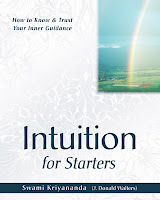 Dear Friends, this excerpt is from the book by Swami Kriyananda, Intuition for Starters, from the first chapter, “What is Intuition & Where Does it Come from? “When we look at the world around us, we find a celebration of life in the universe – shining through the stars, singing through the birds, laughing through children, and dancing with the wind in the trees. With all this beauty and diversity surrounding us, we sometimes yearn to feel more a part of it all. We want to sing in harmony with the “music of the spheres.” What happens all too often, alas, is merely that we add discord by adhering adamantly to our own ego-generated notes. We’ve all seen groups of little children singing. There’s usually one child who has no idea of the melody being sung, but he or she wants so desperately to be a part of the activity, that he sings enthusiastically whatever notes he likes, adding charm, if not harmony, to the music. Perhaps less innocently than that child, we intrude our private wishes saying, “I want the world to be this way,” or, “Come on, everybody, let’s do it my way.” In consequence, the world is full of disharmony, and we hear the cacophony on all sides. How may we tune into the greater symphony of life? A friend of mine, when confronted with any new situation, approaches the problem this way: He asks, “What is trying to happen here?” How often do we insist, instead, on changing reality to meet our own desires? In the process, we lose sight of the overall purpose. We struggle to make sense of life segment by segment instead of as an overall flow. Viewing everything fragmentarily, like pieces of a jigsaw puzzle, no coherent picture emerges, no path, and no direction to guide our understanding. There is a way for us to find that path, however – to feel a part of that greater reality, and therefore to know what is right for us as individuals. That way involves opening ourselves and becoming receptive to higher potentials of consciousness within ourselves and thereby of living in harmony with the world around us. 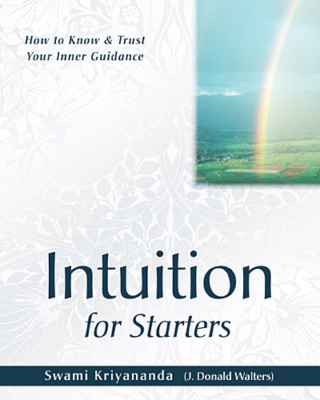 It involves developing our own inner sense of intuitive guidance. Note: Meditation is the single most effective means through which to develop our intuitive faculty, our 6th Sense! This is especially true in the last part of meditation when we end techniques and sit still in the silence in order to attune our consciousness to superconsciousness. Why is it many students who attend yoga classes strictly for exercise and health reasons discover that, over time, their attitudes have become more positive and past, not-so-healthy, habits have fallen away? One of the great debates that swirl around the practice of yoga is whether it is a religious (or spiritual) practice or whether it is only a physical exercise. The experience of millions demonstrates a resounding answer: "It depends!" Yes, it all depends on a student's sensitivity and interest. Yoga (or, technically, yoga postures or its more official name, hatha yoga) can be just an exercise, or, it can be a practice that prepares one for meditation and inner, spiritual growth. But even as exercise, its benefits are more than physical. The point of this article is not to list its benefits but to point out its deeper purpose. The bias I am referring to is that we have come from a long period of time in which our ancestors were, by and large, relatively insensitive and unaware, and relatively ignorant, of how nature and the human body functions. This could be called a materialistic bias: a bias in favor of the outward form of things rather than their inner and energetic realities (be they chemical, biological, atomic, electrical or in terms of emotions, feelings and consciousness). Not surprisingly, then, the practice of hatha yoga, coming as it has, from India but also from centuries of relative obscurity, is wrapped in a physical orientation. Its popularity stems in part from its appeal to our physical bias which desires and values strength, health and vitality. Would it surprise us that a closer examination of the history of yoga reveals its link to a higher, more sensitive and spiritual, point of view? Of course not! India, no less than any other culture on the planet, has also come up through this materialistic evolution returning to a higher awareness. The difference however is simply this: India, and the knowledge of yoga, retained, even if dimly, the memory that there once existed a time (and throughout all time existed at least some individuals) when the practice of yoga was an extension of and an outward expression of a very sublime and lofty spiritual view of reality. When the first English translations of such works as the Bhagavad Gita, the Upanishads, the Vedas, and the Yoga Sutras came to the West, scholars, philosophers, religionists, poets and artists were deeply inspired by their breadth and depth. More than mere love of wisdom (philos-ophy), these were revelations of reality greater and more subtle than psychology or logic or philosophical speculation. A series of spiritual teachers came, one by one, to the West. Among them we find Swami Vivekananda (1893) and Paramhansa Yogananda (1920). 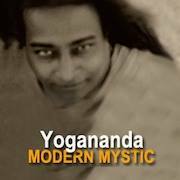 Paramhansa Yogananda (1893-1952) was a world teacher. His primary emphasis was on original yoga: which is, in its essence, a spiritual practice and as such, was focused primarily upon meditation, not yoga postures. Yet, to his male disciples in his Los Angeles ashram, he taught yoga postures. He had his "boys" demonstrate the postures at public gatherings and he had articles printed on their use and benefits in his magazines that were distributed to members and to the public during his lifetime. But there are other teachers from India better known for their work in hatha yoga. Notables such as K. Patthabi Jois or B.K.S. Iyengar. Paramhansa Yogananda must have known that had he put greater emphasis on hatha yoga his essential mission to teach kriya yoga (a meditation technique and a spiritual path) would have been obscured by the public's greater interest in the yoga postures. So whereas Jois and Iyengar were also deeply spiritual, their dharma was to make hatha yoga primary. But in their work, the popularity of hatha subsumed their spiritual emphasis. In any event, Yogananda's successors (after his passing in 1952) appear to have dropped the whole thing like a hot potato. His most advanced disciple and his immediate successor, Rajarsi Janakananda (James J. Lynn) was in fact a yoga adept. But his guru, Yogananda, cautioned him from too much yoga practice. Rajarsi was already an enlightened soul and evidently, further yoga practice was an unnecessary distraction to him. Yogananda taught his disciples that hatha yoga was optional for kriyabans (practitioners of kriya). He noted that it was easier for younger people to practice hatha. Besides, it makes sense that for those who practice meditation to achieve Self-realization, time spent meditating is more precious than time spent doing yoga postures. In part for this reason, Yogananda had discovered and created a system of 39 exercises now called Energization Exercises that take about ten to twelve minutes to complete. These are sufficient preparation for meditation and can take the place of an asana (yoga posture) practice that, to be complete, might require forty-five to seventy-five minutes of precious time in the busy life of the twenty-first century. Hatha yoga particularly emphasizes physical exertion and effort, even when seen as a spiritual preparation. Its origins are, however, specifically that: a spiritual preparation. This does not deny their value as exercise. Nor does it deny that exercise alone can be one's motivation for practicing them. Yogananda taught his students and disciples to "Keep the body fit for Self-realization!" He was not only himself an adept at yoga, but he taught their many physical and mental benefits to his "boys." When I came to age in yoga, during the 70's, yoga was often noted as being "integral." This was a recognition of their power to integrate body, mind and spirit. It seemed to me that as yoga postures became increasingly popular, the emphasis given to them was downgraded in favor of health, good looks, fashion and fad. In the late 70’s as Swami Kriyananda first purchased parcels of land that were later to become Ananda Village, his earnings from teaching yoga postures paid the bills and mortgages, especially before residents of the fledgling community began to chip in. Swami Kriyananda taught classes in hatha yoga throughout northern California, principally Sacramento and the San Francisco Bay Area. Back then, hatha was new and a hot item, and there weren’t the yoga studios on every corner that we have now. And he, being a disciple of the well known author of "Autobiography of a Yogi," (Paramhansa Yogananda), and being himself an excellent teacher, found that his classes were well attended. In those years, Swami Kriyananda combined his yoga classes with an optional addition of meditation classes. After the yoga class there would be a short snack break. Then the meditation and philosophy class would take place. It was during these early years of teaching yoga that he wrote his now classic text, ART AND SCIENCE OF RAJA YOGA. To illustrate the deeper power of hatha practice, Swami Kriyananda liked to tell the story of how one of his yoga students in Sacramento confessed to him that at first she took the class because it would give her something to talk about at her bridge club! "Now," she said, "I realize that THIS IS REALLY SERIOUS STUFF!!!!! He simply smiled knowingly! Just as hatha faded from visibility after Yogananda's passing, a similar miasma in regard to hatha yoga took place in Ananda's history. Swami Kriyananda may have helped begin Ananda’s work with his success in hatha yoga but he never intended it to dominate his life’s work of communities and the Master’s teachings. So after the fledgling Ananda Village community was up and running, he stepped away from Ananda Yoga, letting some of his students take the lead. The need to lead the community and get it established on firmer ground occupied his energy along with the need to train the community's residents in the core teachings of Yogananda, viz., kriya yoga. So hatha yoga once again became a kind of orphan. Though always taught at Ananda's retreat center (later many such centers and communities), hatha was never front and center in the way that kriya yoga was (and is). And yet, the practice of hatha yoga continued and continues to awaken students' interest in meditation and in kriya yoga! Slowly and quietly through the 1980's, 1990's and into the new century, a few key Ananda members took the lead in developing what was to be called, "Ananda Yoga." While the term has since been copyrighted, the term is actually redundant! Ananda means "joy" and the state of yoga IS joy! But, well, why quibble as the general public doesn't know this and we needed a name for our style of yoga. Paramhansa Yogananda never really explained his hatha system to anyone (that we know of). Nor have we ever seen any accounts of how and from whom he learned hatha yoga. He only lived 3.5 years after Swami Kriyananda’s arrival in 1948. One or two of the monks were, at first, better versed in hatha at the time but by the Master’s grace Swami Kriyananda quickly became the leading representative. Presumably Yogananda taught Kriyananda many aspects of the postures but if so Swamiji never distinctly explained that to us. Yet, Swami Kriyananda found that when his guru would ask him to assume a specific (and difficult) pose before guests, he could do so effortlessly, even though he was not practiced in the pose. A discerning yogi, reading Swami Kriyananda's books such as "Yoga Postures for Higher Awareness," and "Art and Science of Raja Yoga," discovers that Swamiji tuned in to many subtle aspects of both individual poses (pranayams, bandhas and mudras) AND into the system of hatha yoga. We simply don't really know the details! Ananda Moyi Ma, a woman saint, however illiterate, and featured in Yogananda's life story (Autobiography of a Yogi), was known to assume yoga positions as a girl by virtue of energy (prana) in her body, without her conscious control. The yoga poses are said to have been formed in a much higher age (or higher state of consciousness) when certain highly advanced souls could, like the articulated sound of mantras (but instead using the human body), give physical shape to specific aspects of higher consciousness. Thus we come at last in this article to my central point and thesis: hatha yoga, if practiced safely and with correct understanding, can stimulate states (attitudes) of consciousness because the body-mind-soul spectrum is a continuum (in either direction), and the human body, a hologram. Ananda Yoga is characterized by the use of specific and individual affirmations with each yoga pose. These affirmations are related to the consciousness from which the pose was created. When, therefore, a yoga pose is practiced with the intention of attuning oneself to its characteristic consciousness (or attitude), the precision, the exactitude, and the perfection of the posture becomes less significant (though still valuable) because its inherent consciousness is latent and innate. Ananda Yoga can thus operate to awaken higher awareness in the normal range of body types and abilities for this very reason! It is truly for every-body! Ananda Yoga classes remain focused on classic yoga postures. The affirmations are enjoyed by students for their obvious positiveness. Notwithstanding the gist of this article, our teachers don't preach. They practice! The awakening potential of hatha yoga is something that cannot be imposed upon another person. If it is to be awakened, it takes place individually, from within. If a student is primarily interested in health and well-being, then these benefits are there for him or her also. Ananda Yoga is sometimes described as "spiritual yoga." This, too, however is redundant though not entirely unfair, given how hatha yoga is generally viewed and taught to the general public. We are essentially spiritual beings inhabiting a human form. Hatha Yoga can awaken us, individually, to that latent joy which is our true nature. Ananda Yoga is taught and practiced with this understanding at its core.